Orange County Personal Injury Lawyer >> Blog >> How long will it take to settle my case? No Newport Beach personal injury lawyer can predict how long a case will last. Every claim is different. Some cases handled by your Newport Beach personal injury attorney will be settled in a few months. With other cases handled by a Newport Beach personal injury lawyer settlement or trial can take years. Your Newport Beach personal injury lawyer most likely will wait until you are recovered from your injury or are as healthy as possible before settling the case. Knowing the longer term results of your injury is an important factor that your personal injury attorney considers. 1. Are your injuries permanent? 2. How much are all of your medical bills? 3. How much income or other employment benefits did you lose because of your injury? 4. 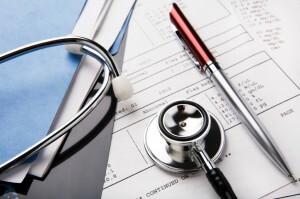 Do you need further medical treatment and what is the predicted cost of it? 5. Will any permanent injuries affect your future earnings? 6. Will you lose other employment opportunities because of your injury? The list of questions above are critical and are all taken into consideration. Expect other variables more specific to your case to also be factored into the length of the process. While the date that your case settles can’t be predicted, your attorney will keep you informed of progress and give you an idea of a possible timeline.